It's the time of the year when family and friends gather together over food to celebrate the holidays. What could be better than a traditional Christmas dinner with all of your favorite fixings? Whether you're craving comfort, nostalgic for Christmases past, or just love the yuletide recipes you grew up eating, this holiday menu that is sure to make your stomach—and your heart—happy with festive appetizers, mains, and desserts. 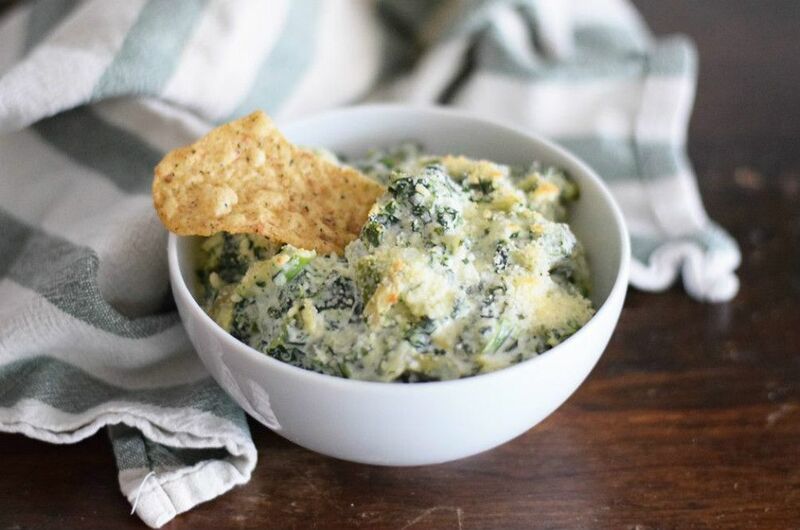 When the weather is cold and you're gathering with family to celebrate the holidays, this warm and creamy spinach and artichoke dip is sure to hit the spot. Serve it with crackers, mini pitas, or tortilla chips for dipping. It makes a great party appetizer, too. Homemade rolls are a wonderful accompaniment to a special meal, like these incredibly fluffy and buttery rounds. They taste fantastic served warm from the oven, slathered with more butter. Eggnog is a holiday classic and a favorite party drink to enjoy at Christmastime. While there are many ways to make eggnog, few recipes are as traditional as this from-scratch version, which features brandy and fresh eggs. It's easy to make and sure to be a crowd-pleaser! What would your Christmas party be without a cheese ball? Cheddar and cream cheese are flavored with onion, garlic, and Worcestershire, then shaped into a festive orb and rolled in finely chopped pecans. Serve with your favorite crackers. 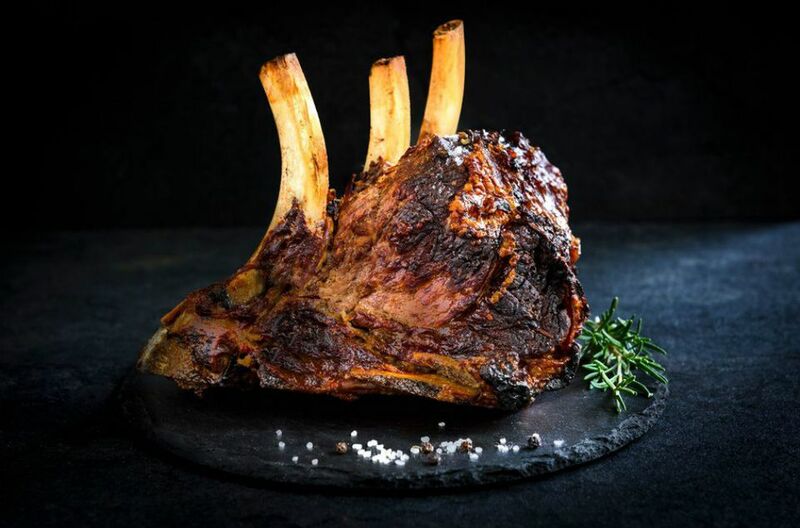 When you want to truly wow guests, you will never go wrong serving prime rib. This recipe produces a perfectly medium-rare roast with a gorgeous brown crust on the outside. Bring to life the world of Charles Dickens' "A Christmas Carol" when you make roast goose the star of your Christmas dinner menu. Be sure not to skip brining the goose overnight, as directed in this traditional Christmas recipe, to ensure flavorful and moist meat. Pot roast is a wonderful way to enjoy the rich and savory flavors of low-and-slow cooked beef for Christmas. This is truly the perfect meaty entree—tender and delicious—with or without the optional gravy. Yorkshire puddings are a classic British recipe and the traditional accompaniment for a prime rib or other roast beef dinners. Puffed-up pastry puddings with beef drippings are a great way to sop up gravy! For the ultimate Christmas dinner centerpiece, this classic honey glazed ham is simply spectacular. Be sure to let it rest a bit before serving, as instructed, for the juiciest results. Oyster stew is a traditional Christmas Eve meal. The rich, stomach-warming recipe is easily made in your crockpot, which is helpful when your oven and stove top are busy with other dishes. Bacon-wrapped dates are a classic Christmas appetizer and this easy recipe from celebrated chef Wolfgang Puck only requires three simple ingredients. Sticky, rich dates are stuffed with salty Parmesan cheese, wrapped in smoky bacon, and quickly baked to sweet-savory perfection. The green bean casserole is an essential Christmas and Thanksgiving side dish. Your family is sure to go in for seconds of this dish, which boasts a fantastic, homemade cheddar cheese sauce made from with sour cream and mushrooms. These savory potatoes come out nicely crisp on the outside and tender on the inside. Add them to your Christmas dinner menu as a great accompaniment to beef, fowl, or ham. Roasted butternut squash with sage makes a great holiday side dish. Best of all, the six-ingredient recipe is ready to eat in less than an hour. This recipe for wonderfully dense and velvety cheesecake is a wonderful way to wrap up your meal. Bake it the day before and let it refrigerate overnight, or up to 24 hours, before serving. An English trifle is a traditional British dessert that has appeared on Christmas dinner menus for centuries. Luscious layers of sponge cake, sherry, custard, and whipped cream make this a popular and beautiful treat at the holidays, year after year. Christmas means sugar cookies! These classic, buttery holiday cookies are a kid favorite. Kids will love helping to decorate them with sprinkles, too.